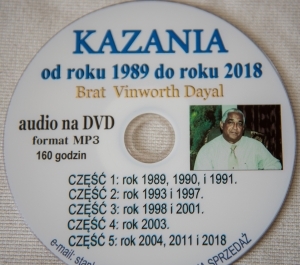 When we look on the DVD this morning, that Brother Stanislaw has given us as a gift, we realize that this man put all the messages on a disk, which Brother Vin preached over the years in Poland. It shows the appreciation and value they have for this Word, knowing that this is the ministry of the Angel of God and this brings a Bride into translation faith and perfection. After breakfast it’s time to get on the road for an about 5 hours drive on the ‘Autobahn’ to get back into Germany, which is a much more familiar territory for us, where we understand the signs along the road. 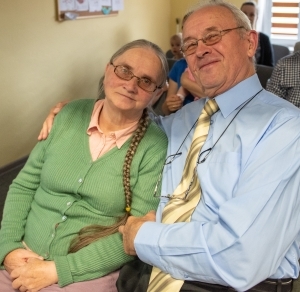 It was sometimes difficult in Poland to figure out what the signs meant, since we didn’t understand the language and only a few people would speak a few words English. The navigator in the car seemed not to understand Polish either and most of the times we had to use our phones to get through different cities, since the navigator misled us a couple of times, and we didn’t put much trust in it. The Lord brought us always to the right place, and we are grateful for this. 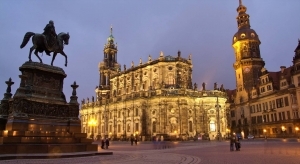 Our stop for the night is in Dresden; this city is very rich in history, and on top of the most visited cities in Germany, because the royal buildings are among the most impressive buildings in Europe. Many of those houses were laying in ruins because Dresden was bombed in World war II, but restoration work started right after the war. However, it was very desolate until the Berlin Wall came down, because it was shut up from the West and ruled by Communism and Catholizism. We are very tired when we arrive, and not feeling to do any sightseeing but just want to relax, because tomorrow we are one more time for many hours on the road, until we get to the airport in Frankfurt/West Germany.